Whether you’re working during the day or just looking for a way to get out with the family, twilight skiing and riding offers a chance to hit the slopes, often with great deals and special offerings. Enjoy the newly groomed corduroy in the late afternoon, and don’t forget your clear lenses for your goggles to enjoy an evening under the stars. 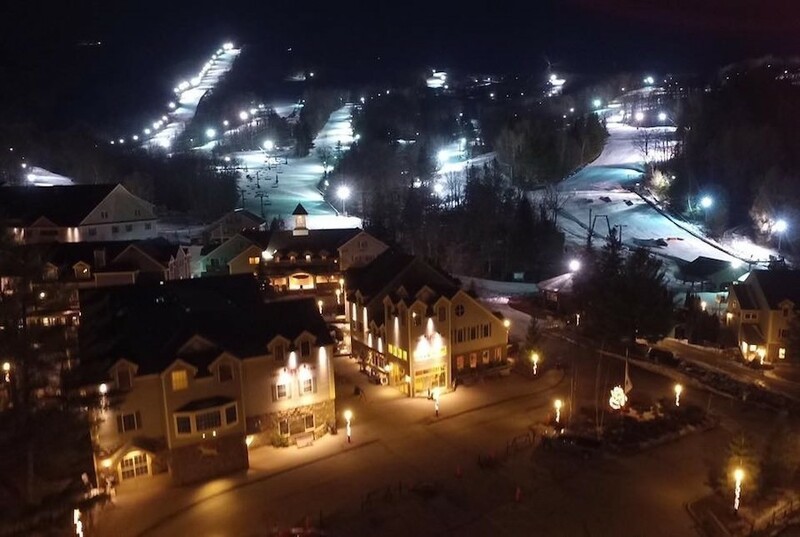 In an effort to dispel the notion that skiing or snowboarding is prohibitively expensive, Jiminy Peak Mountain Resort in western Massachusetts is offering a seven-hour night skiing lift ticket for $19 Monday nights this month. The pass, valid from 3 p.m. to 10 p.m is the equivalent of skiing for just $2.71 an hour on the resort's 21 lighted trails. "Twilight skiing is an affordable option for those who have to work during the week but still want to get in some turns," said Tyler Fairbank, CEO of Jiminy Peak parent company The Fairbank Group. With Bretton Woods’ Powder and Pasta, for just $4 more than a twilight or night ticket, ski or ride weekend and holiday evenings and enjoy a full pasta dinner to keep you going strong until the lifts close. Pats Peak's Pay-One-Price (POP) program gets you skiing, snowboarding, snowtubing, lesson tips, rentals, bonfires, and entertainment on Saturday nights from 3 p.m. to 10 p.m. with snowtubing hours from 5 p.m. to 10 p.m. for $49. Pats Peak boasts night skiing on 100 percent of the main mountain with beginner through expert trails. A group of three can ski or ride Bristol Mountain’s Family and Friends Night for $79 from 4 p.m. to close on Saturday and Sunday nights (that's only $26.33 a lift ticket). Each additional person is $30. Includes discounted rentals and free beginner lesson. Maine’s Shawnee Peak starts night skiing at 3:30 p.m. Monday-Saturday and holiday Sundays. Monday Night Madness offers 5 ½ hours of skiing for $15, or $20 on holiday Mondays. Crotched is New England's only resort rocking the slopes until the wee morning hours, where you can hit the slopes until 3:00 a.m. Friday and Saturday nights. Midnight Madness block parties, concerts, bonfires and events round out the fun these nights. Buy your Midnight Madness ticket online before Midnight the day prior to skiing and pay only $33.